A California substance-abuse counselor who drunkenly hit a man with her car and then drove more than two miles while his half-naked body remained on the hood was sentenced to 25 years to life in prison. Sherri Lynn Wilkins, 55, was accused of drunk driving and killing a pedestrian with her car, in 2012. 31-year-old Phillip Moreno of Torrance was killed and remained on her windshield as she fled the scene, stopping two miles away, only after other people challenged her at a stop light. In 2014 Wilkins was found guilty of hitting and killing 31-year-old Phillip Moreno and was set to be retried for the 2012 crash after an appellate court overturned her conviction. She had received a lengthier 55 years to life sentence, before her appeal, but the fact that her entire criminal history of Wilkins is a former heroin addict and has “committed serious crimes in the past.” had been admitted at the trial.The panel of judges ruled that it had the potential to prejudice the jury, so the conviction was overturned. The reformed drug user had felony burglary convictions as she stole to maintain her habit. The admission of her rap sheet “added to the picture a suggestion that the defendant had a history of unpunished crimes, a propensity for crime and it counteracted her attempts to portray herself as having turned her life around until the charged crime,” the appellate panel said in a statement cited by the Daily Breeze. Wilkins on Thursday pled no contest to the same charges, second-degree murder and two counts drunken driving, and was immediately handed her new sentence. 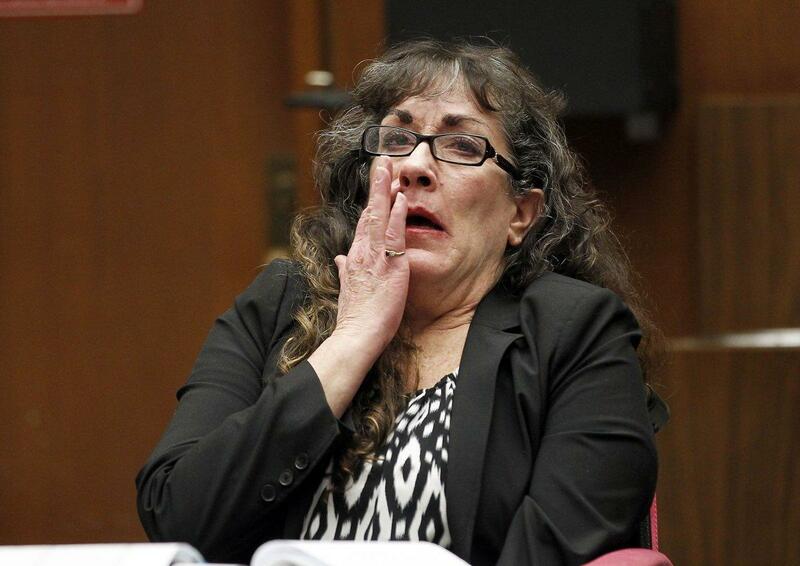 Wilkins in November 2012 hit Moreno while she was driving home through Torrance. She traveled more than two miles with his half-naked body trapped in the windshield, his upper body left facedown on the hood of her vehicle. He remained there until other drivers confronted her at a stoplight, according to court records. She told them he appeared to jump in front of her car. Wilkins admitted to drinking vodka, beer and a tomato cocktail before getting behind the wheel, but said she wasn’t drunk. The defense contended there hadn’t been enough time for her blood-alcohol level to exceed the legal limit. She said in court that she was “self-medicating” to prepare for an upcoming knee surgery. A little more than an hour after the crash, Wilkins’ blood-alcohol level was about twice the allowed .08, investigators said. Moreno was conscious when paramedics arrived, but died later at a hospital. Wilkins had been previously charged with DUI in 2010, but had the charges dismissed the next year.